CKWR FM 98.5 is a radio station serving the Region of Waterloo and communities in Southern Ontario that include Guelph, Brantford, Wingham, Stratford and Mount Forest. Many thanks go out to "Spaceman Stan", a radio broadcaster in Cambridge, Ontario, for advertising our site. Stan's program is called "Adventures In Plasticland" that is aired every Saturday night between the hours of 11:59pm and 3:00am (Eastern Time) at 98.5 on your FM radio dial. You can catch Stan's radio show live on line as well at http://www.ckwr.com. Stan's show features progressive/psychedelic/acid genres with special guests that come into the studio from time to time. Stan and Brenda (his lady love) go out with us in the field of paranormal investigations and have witnessed first hand what is captured on camera. Stan loves the history that is tied into the paranormal. Now Stan has his own camera and goes out into the field of paranormal research with us and captures his own pictures of things that cannot be explained away. Stan and Brenda have experienced many things while out in the field. They find this new hobby a fantastic way to get closer to the paranormal way of things that exist around us each and every day. Stan has thanked us many times for introducing him to the world of the paranormal, and showing beyond a doubt that spirits do live among us. Stan mentions on his program his experiences with us here. Stan now wants to open a Cambridge Chapter of Hamilton Paranormal. 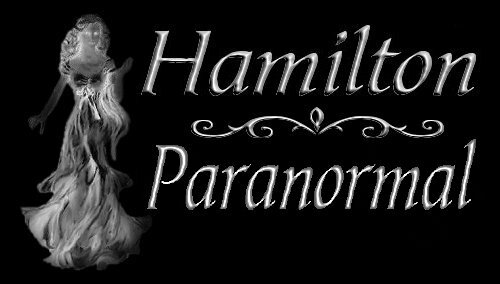 Each and every Saturday night Stan mentions Hamilton Paranormal on his program and he also keeps folks updated to our big meets we hold as well as our pot luck get togethers. Stan likes the fact we do not charge anything for taking folks out with us on an investigation. He likes how we share our experiences with folks that are interested in this field, and that we take the time to explain things to folks that seek information on the paranormal. Stan knows for a fact that we have nothing to profit by our web site, and this alone, to him, means a lot. Stan's program "Adventures in Plasticland" is a fantastic show featuring music from the 60's, 70's and 80's, with special guests that he has come in on his program. Be sure to listen to his experiences in the field of the paranormal, then sit back and listen to some hot tunes that are pumped out from the station. We are sure you will not be disappointed. Also if you have a CD you would liked played on his program email Stan for mailing directions and he will play it for you. To listen to Stan's broadcast live on your computer just click the link above. To learn more about "Spaceman Stan" visit this page. And don't forget this page too.